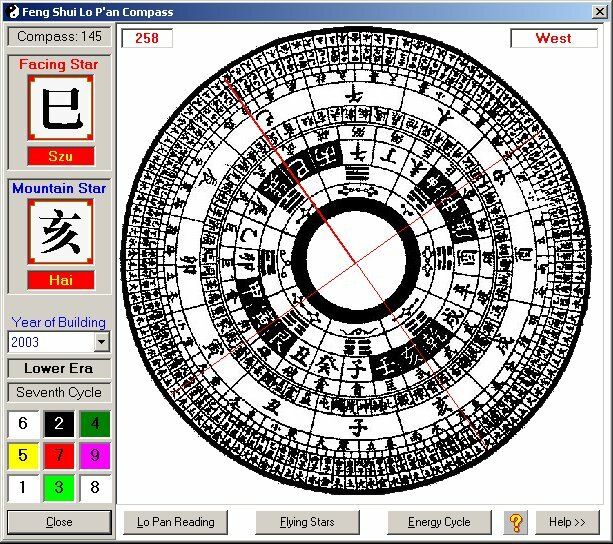 The ultimate Feng Shui tool - giving readings for every degree on the compass. 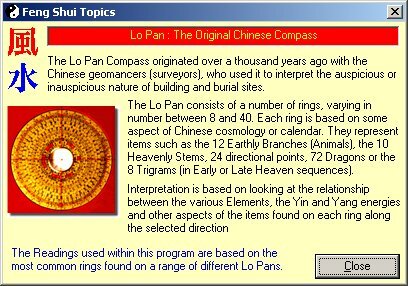 Built-in to the program so you don't need a "real" Lo Pan - any ordinary compass will do. 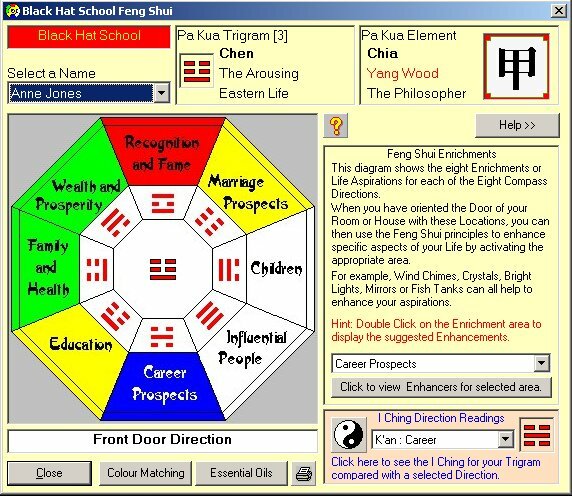 The traditional Feng Shui school used by Masters worldwide. 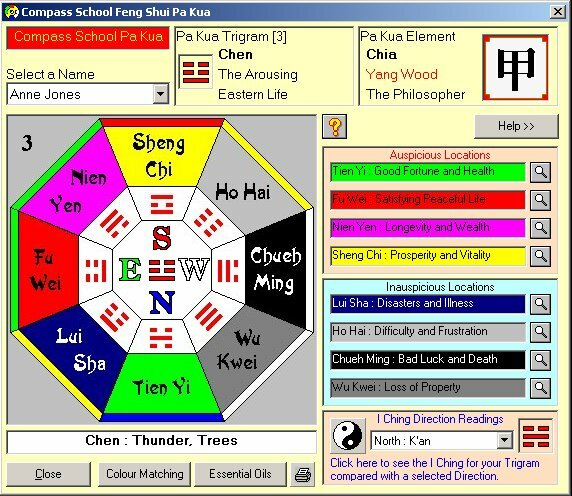 More accurate than the Compass school (see below), but more complex to use. Import your drawing of your room, house, office or garden and have the Pa Kua automatically drawn for you. 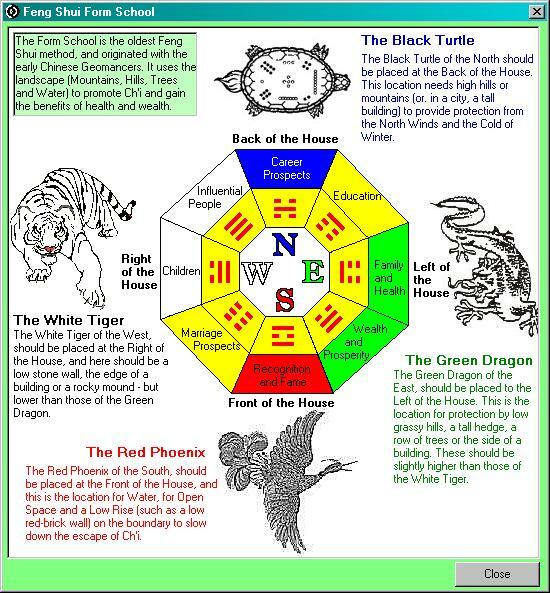 The best known Feng Shui method - useful for quick readings before using the full Flying Star system. The simpler Front Door based Feng Shui. 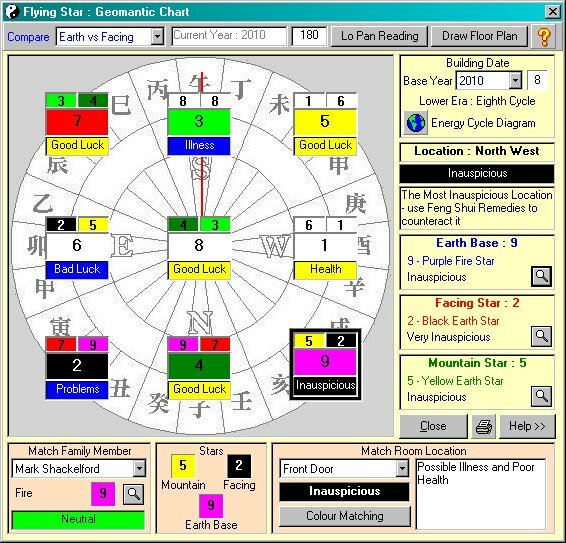 The Feng Shui Colour Wheel lets you choose the best matching and balancing colours for your rooms. Check Height, Width and Length at the same time. 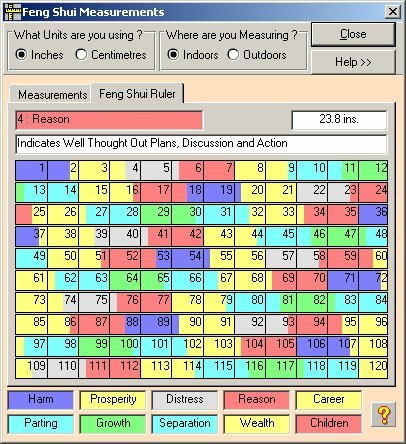 Use Feng Shui to find the most auspicious measurements for your buildings and furniture. 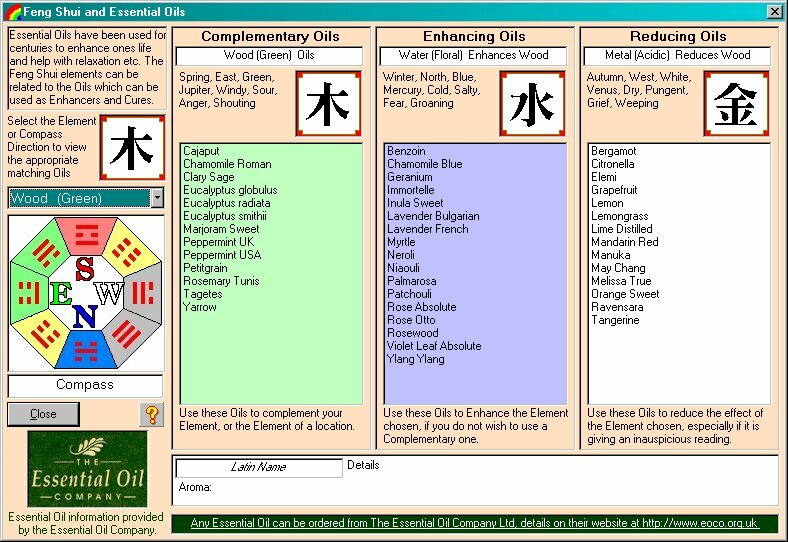 Feng Shui through Essential Oils - match the oils to the Elements. 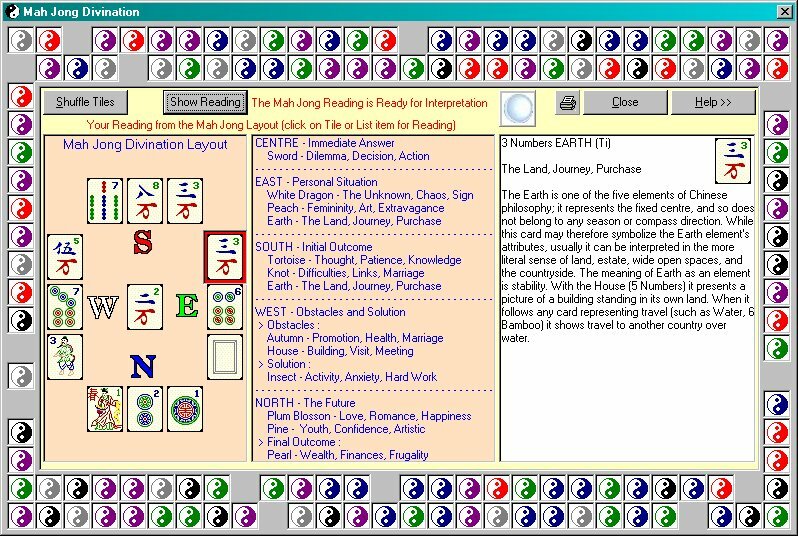 The Chinese Lunar Almanac based on the 28 Mansions. 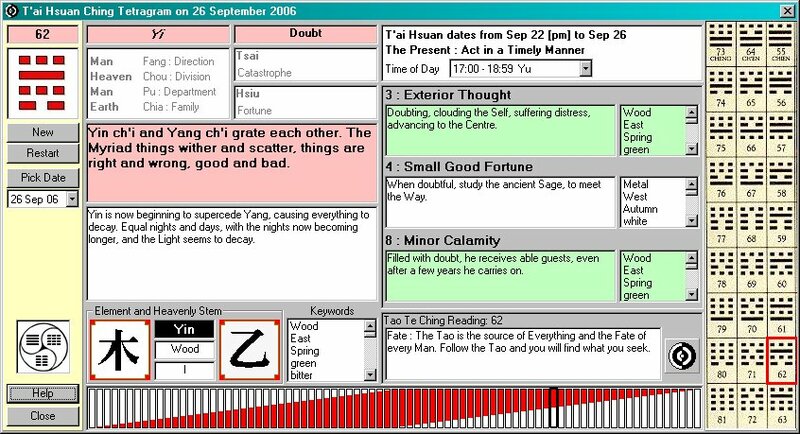 The original Chinese oracle - with answers to all your questions. 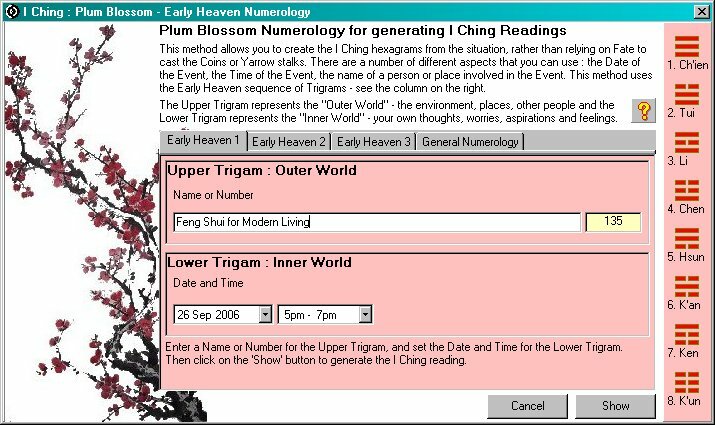 Plum Blossom I Ching takes the basic oracle and turns it into a powerful question solving tool. 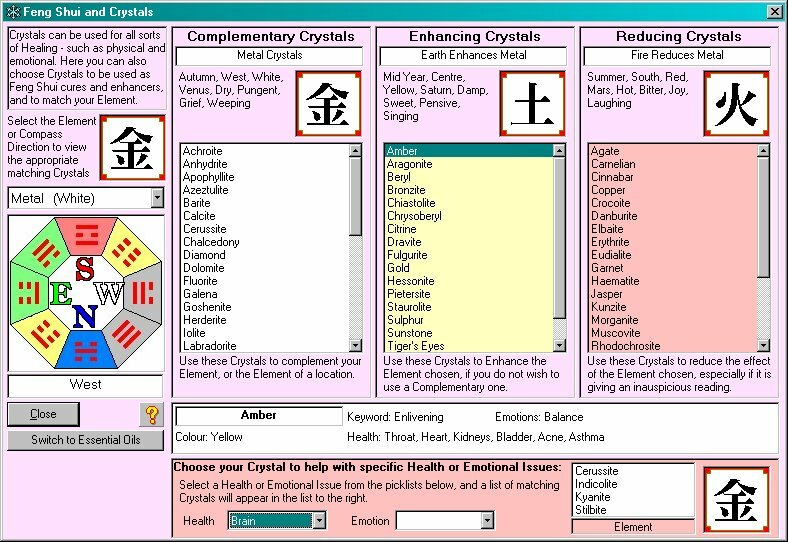 Based on the ancient Chinese Game, this uses the meanings of the tiles for Divination. 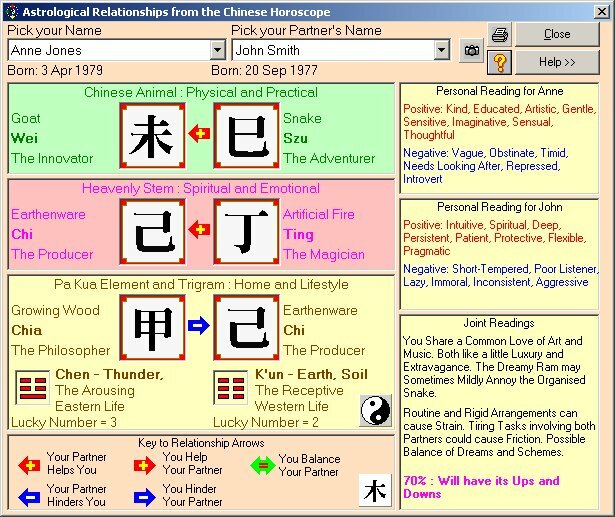 Divination based on the 9 Chinese Stars, you can learn about yourself and your partner as well as determining the best direction for travel or a move. 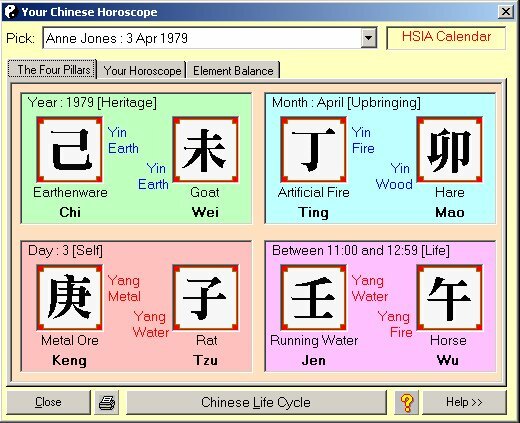 The full Chinese Astrology (also known as the Four PIllars), with the Elements showing you about yourself and your past and future. 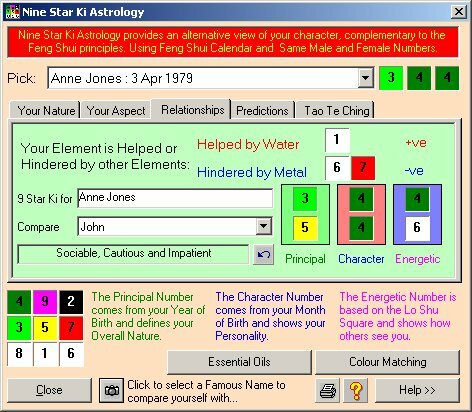 Using the Elements to predict how you will get on with other people. 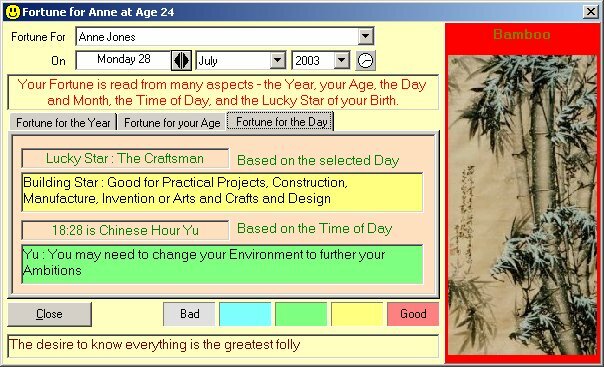 A diary that shows you the best (and worst) days for a wide range of activities. 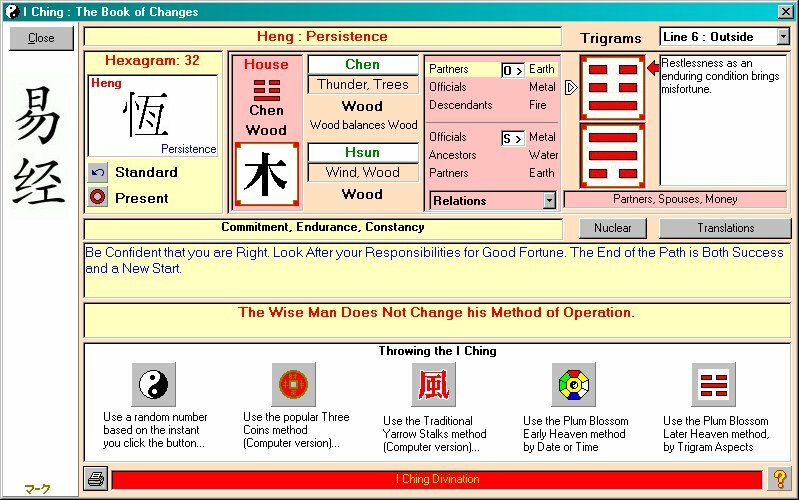 Using the I Ching in a similar way to the Western Tarot for further Divination. 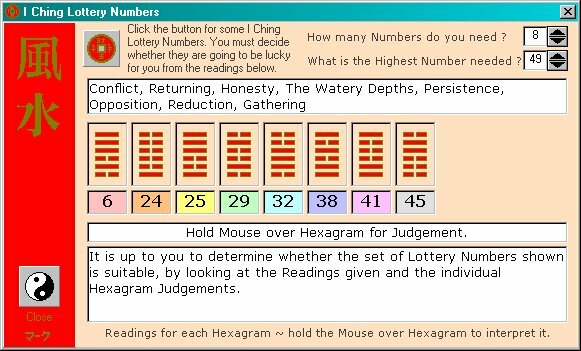 Use the I Ching to select the best numbers for your Lottery choices. For details of the individual features - click on the highlighted links... these will pop up a window showing a screenshot of the program, plus a description of what the feature does.